Trelleborg Sealing Solutions, one of the world’s leading developers, manufacturers and suppliers of precision seals and bearings, announced this week the release of the Aerospace Groove Selector app. The new app supports engineers in selecting groove and housing sizes corresponding to SAE groove standards. This app covers two of the most important SAE aerospace groove standards for hydraulic systems — AS4716 Rev B and AS5857 Rev A. It makes it quick and easy to find the size of grooves and hardware corresponding to these standards, including full tolerance details. The app also highlights where the selected gland is recommended for both dynamic and static applications or where it should only be used in static applications, as well as providing an instant conversion between inch and mm sizes. Director Aerospace Segment for Trelleborg Sealing Solutions, Torben Andersen, says: “The two SAE standards covered in the app are crucial when it comes to specifying seals. A lot of experience about the correct hardware sizing and fits over the years has been accumulated in this tool. This new app joins the highly successful ISO Fits & Tolerances, Unit and Hardness Converter and O-Ring Calculator apps. All are available free from iTunes or via the Apple App Store on the iPhone and iPod Touch. 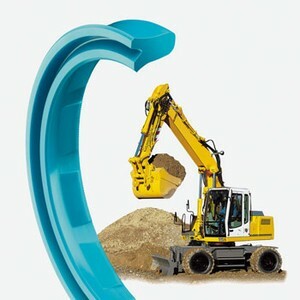 (Search for Trelleborg Aerospace, Trelleborg ISO, Trelleborg Converter, Trelleborg O-Ring.